VIZ Media moves into February and continues to heat up the winter season for fans with the latest monthly digital anime content update. 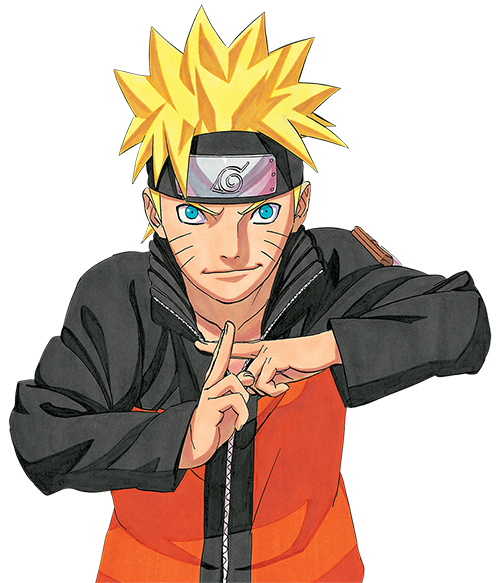 This month, audiences will be treated to the latest NARUTO SHIPPUDEN episodes straight from Japan in (subtitled) weekly simulcasts every Thursday. Also dive into the exclusive U.S. premiere of SAILOR MOON SAILOR STARS (Season 5). This is the first time this final climactic season of the original SAILOR MOON anime series has been officially available in the U.S. Enjoy 2 exciting subtitled episodes every week! The interstellar SAILOR MOON action continues throughout February with all-new, English dubbed streamed episodes of SAILOR MOON CRYSTAL every week. New dubbed content for the month is complemented by not-to-be-missed episodes for additional hit VIZ Media anime series such as HUNTER X HUNTER and RANMA ½. The supernatural action adventure of HUNTER X HUNTER Season 1 continues in February with Episodes 27-39 available to stream in their entirety featuring brand new subtitles that are true to VIZ Media’s original translations of the manga series by Yoshihiro Togashi. The pulse-racing ninja action of NARUTO SHIPPUDEN continues all month with simulcasts every Thursday of the latest episodes straight from Japan. Don’t miss the simulcasts of Episode 447 on February 4th, Episode 448 on February 11th, followed by Episode 449 on February 18th, and Episode 450 on February 25th. The hilarious hijinks of the classic anime martial arts adventure, RANMA ½, continues during February with the addition of Season 6, Episodes 116-138, available to stream now in their entirety with dubbed English dialogue! Catch the streaming premiere of SAILOR MOON SAILOR STARS (Season 5) with 2 subtitled episodes every Monday. Episodes 175 & 176 are available now, followed by Episodes 177 & 178 on February 8th, Episodes 179 & 180 on February 15th and Episodes 181 & 182 on February 22nd. Enjoy the all-new English dubbed streams of SAILOR MOON CRYSTAL throughout February with a brand new episode every Friday. SAILOR MOON CRYSTAL Season 1 action continues with Episode 13 FINAL BATTLE - REINCARNATION available to stream beginning February 5th, followed by the beginning of the Black Moon Arc on February 12th! VIZ Media’s consolidated online destination for FREE streaming anime content in the U.S. has over 4,200 subtitled and English dubbed episodes and movies from more than 37 series! VIZ Media’s streaming content also reaches an expansive on-demand U.S.-based audience on Hulu, which enables viewers to watch shows anytime, anywhere across devices including Xbox One, PlayStation®4, Roku, Roku TV, Amazon Fire TV, Apple TV, Google Chromecast, and mobile devices. A full list of Hulu -enabled devices can be found at http://www.hulu.com/plus/devices.